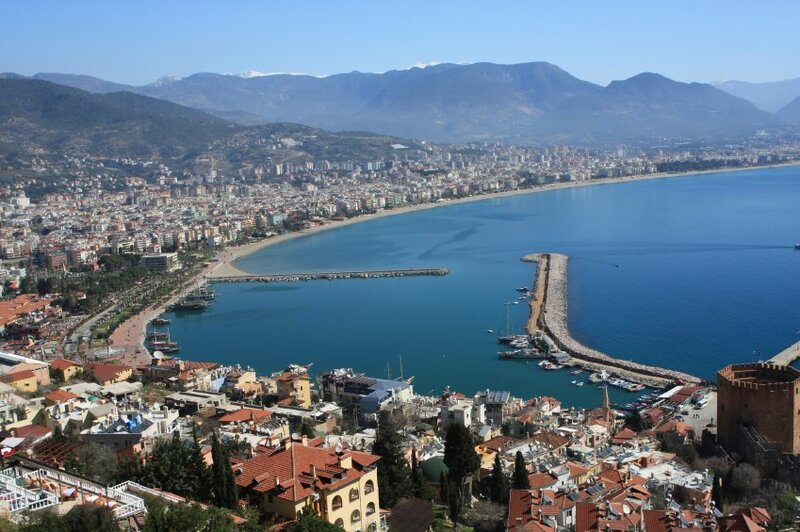 Alanya is a sprawling resort 72 mi/115 km east of Antalya and popular with German tourists. It's worth a visit to see the magnificent fortress set atop a rock overlooking the harbor. There's not a lot to see inside the sturdy walls, but the walk back down offers magnificent views of the Mediterranean as well as plentiful tea gardens where you can take a break. Back in town, take a look at the Seljuk-era Kizikule (Red Tower)—and perhaps the humid Damlatas Cave, which is said to ease asthma—before pressing on again.